It should not come as a surprise that problems and concerns associated with indoor Air Quality Monitoring has become a top priority. This is largely due to the fact that we are spending in excess of 90% of our time indoors. This is as per the calculations of the EPA Environmental Protection Agency. This causes problems as tougher building rules are more interested in conserving energy usage than providing higher quality IAQ, or Indoor Air Quality. Because of the above facts, facility personnel, owners of these buildings, and industrial hygienists are more and more concentrating their efforts on IAQ for health and comfort benefits. These concerns involve a mounting series of issues in assessing IAQ air quality. This is especially the case as it has been discovered that airborne particles, vapours, gases, and biological molecules all can lead to harmful reactions in some people. Such effects depend on how sensitive they are to varying substances and their concentrations. There are contaminants mixed among the benign particles, like allergens, infectious diseases, irritating particles, and toxic substances. The fact is that major government and non-governmental agencies and associations all consider poor IAQ and indoor Air Quality Monitoring to be among the top five most serious health concerns. There are newer studies that demonstrate that as many as more than a third of all American buildings suffer from poor air quality issues and need a better, individualised indoor Air Quality Monitoring system. This is why these days more than ever before, taking a proactive stance to uncover and solve potentially serious problems before they spiral out of control has become increasingly critically important. Thankfully, there is new and improved air quality measuring instruments and a better indoor Air Quality Monitoring system that have been designed to assist building managers with figuring out these challenging and complex problems. How to check indoor Air Quality Monitoring? Fortunately, these improvements in measuring indoor air quality have found an interested business and office space managerial base that are keen to carefully monitor the conditions which increase the productivity of workers and reduce energy consumption and use. To help facilitate these requirements, companies are manufacturing lines of highly efficient indoor Air Quality Monitoring IAQ instruments that are well-known for their ease of use, dependability, and consistency in detecting air quality. 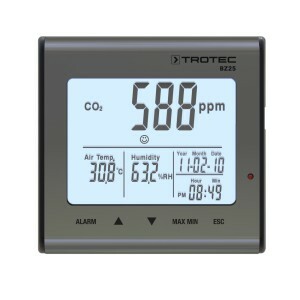 Among the different elements that such an indoor Air Quality Monitoring system measures there is equipment for checking humidity, temperature, carbon dioxide levels, outside air conditions, carbon monoxide levels, and other airborne molecules. Keeping tabs on these factors are among the main focuses and areas of concern for maintaining a healthful and balanced environment indoors. These instruments were manufactured for a complete range of capabilities that are technologically advanced, like statistical analysis and data collecting. Among the technological breakthroughs in recent years, one of the most stand out is the ability to effectively measure the indoor Air Quality Monitoring with techniques like X-ray fluorescence spectroscopy. Thanks to this process, observers can now carefully monitor the effects of and progress of air pollution in a far more technological manner than ever done before. Besides this, ion chromatography is being utilised to identify various other chemicals present in the air, while other protocols are assessing the levels of elemental carbon and organic carbon as part of an indoor Air Quality Monitoring system. As an example of this technology, the IAQ indoor Air Quality Monitoring system is able to measure a wide variety of toxins and gases that can be found in a great number of facilities. Some of these are ammonia, ozone, nitrogen dioxide, sulphur dioxide, carbon monoxide, nitric oxide, carbon dioxide, hydrogen cyanide, hydrogen sulphide, oxygen, hydrogen chloride, and chlorine. There are also IAQ sensors now that can be easily configured to check as many as five gases along with the temperature in only one probe. As many as four such probes can be connected up to a monitor at once. Besides this, these probes can investigate percentages of relative humidity, temperatures, and the presence of only one gas. These monitors may also be connected to measure toxic gas through detection, monitoring, and metering equipment and instruments and relay all of this information to a personal computer, laptop, desktop, or tablet device so that the IAQ data can be logged in, accessed, and reported along with its test results to be analyzed by advanced software. Hospitals are an environment where indoor Air Quality Monitoring is most important to consider and analyse. This is because both healthcare workers and patients are all at risk of contracting hospital-based diseases and infections here. Thanks to poor air quality in hospitals, there can be building related outbreaks of such illnesses as fatigue, headaches, skin and eye irritations, and various other more serious and even occasionally life-threatening diseases. This is why it is so critically important to install an indoor Air Quality Monitoring system in hospitals around the world. The air in such healthcare facilities possesses a number of gas contaminants and particles including carbon monoxide, carbon dioxide, volatile organic compounds, formaldehyde, radon, respirable suspended particulates, nitrous oxide, glutaraldehyde, latex allergens, and total bacterial counts. Some of these indoor air pollutants can be serious, particularly for people in weakened and sickened conditions in hospitals. Healthcare facilities tend to have the advantage of being smoking free, but they still suffer from pollutants brought in by cleaning products and equipment, personal activities, and ventilation systems that lack an installed indoor Air Quality Monitoring system. Outdoor sources of pollution for health care facilities include such IAQ factors as construction activities, industrial activities, and vehicle emissions. Among these elements, carbon monoxide is severely toxic and potentially life-threatening as it lessens the availability of oxygen to tissues throughout the human body. With elevated levels of this carbon monoxide, symptoms can include everything from nausea, lessened alertness, headaches, rapid breathing, fatigue, confusion, chest pain, impaired judgment, and even confusion. Among the Variety of Chemicals, those with higher concentrations can cause chronic and acute health conditions, some of which include cancer. Besides these threats, hospitals suffer from the risk of bioaerosols brought on by live organisms. These agents are comprised of seeds, pollen, moulds and fungus, bacteria, bacterial endotoxins, protozoans, algae, latex, flour, and animal waste products and dander. These bioaerosols prove to be dangerous precisely because they cause allergens, produce infections, and in some cases are considered toxins. Among the most threatening and dangerous of infections in hospitals around the world is the super virus MRSA, or Methicillin-resistant Staphylococcus aureus. This bacteria can also be detected with specific indoor Air Quality Monitoring.